The Constellations: June, May April. Very Good condition. Minor edge damage near top left margin. Minor overall age toning and some spotting. Blank on verso. Rumsey 2853.003. 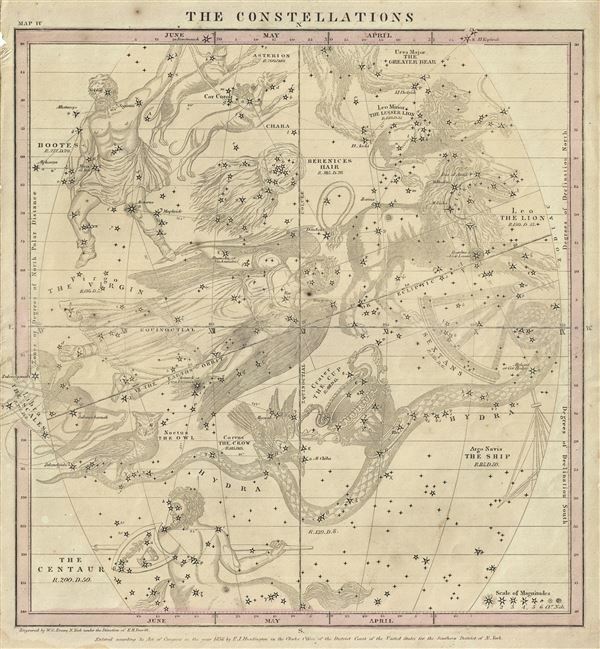 Kanas, N., Star Maps, p. 277-78. Kidwell, Peggy Aldrich. 'Elijah Burritt and the 'Geography of the Heavens.'.' Sky & Telescope 69 (Jan 1985).